Women who go through menopause before the age of 46 are twice as likely to have a heart attack or stroke as women who go through the change later in life, a study has found. The findings from a diverse group of U.S. women support results of earlier studies that had only focused on white women. Lead author Dr Melissa Wellons, from the University of Alabama at Birmingham, said women who had the menopause early should make extra efforts to reduce their risk. 'My advice to them would be to get your traditional risk factors checked and do the things that we know, based on evidence, can improve your risk of developing heart disease, like keep your cholesterol in check and keep your blood pressure in check,' she said. 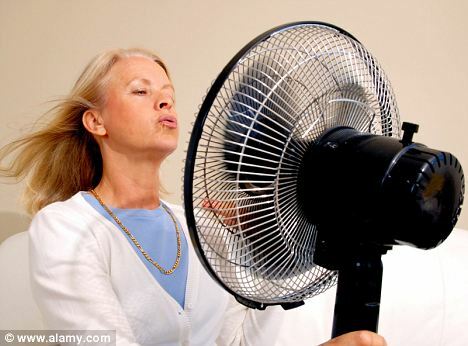 Close to 700 of them, or 28 per cent, had gone through menopause early - before age 46. The average age when women stop having periods is 51 in the U.S and 52 in the UK. The younger group included women who went through menopause naturally or had a hysterectomy - surgery to remove the uterus - which can cause early menopause.